Welcome grants are now available! Grants are offered for each eligible applicant enrolling in the following school year. There are no limits for families with multiple students. Online grant applications must be submitted by December 1. Call Fiona Diemer, Director of Admissions, at 410-464-4117 for more information. FACTS is the tuition management and grant and aid platform used by the schools in the Archdiocese of Baltimore. All families are required to create an account with FACTS to manage their tuition payments. The grant and aid application is housed on the same platform for every school, parish, and the Archdiocese of Baltimore assistance. Therefore, a family need apply only once for possible support from these various sources. Read more information about FACTS. The Tuition Assistance Policy is according to the Archdiocesan Guidelines for the Catholic Schools Project. Cathedral offers financial assistance on the basis of need and monies available for tuition assistance. A monthly payment plan is available to all families. Application forms need to completed through FACTS. Requests outside the stated policy should be addressed to the Principal. Theresa F. Truschel Charitable Foundation Inc. This recently established scholarship opportunity is available through the Theresa F. Truschel Charitable Foundation Inc. Ms. Truschel, who died early in 2007, specified in her will that a foundation be established to provide scholarships and assistance to worthy students attending Catholic schools at all levels based on financial need, past academic performance and potential success. Further information and an application may be found on the foundation website here. Children’s Scholarship Fund Baltimore scholarships are awarded by lottery to qualified Baltimore City families and are only based on financial need. The amount of the award is based on household size and income; they usually cover 25%-75% of a school’s tuition, up to $2,000 per student per year. Applications are processed on a first-come, first-served basis beginning in April each year. The earlier you apply the better your chances of receiving a scholarship! If funds are not available when they receive your completed application they will keep your application on the waiting list. Grants are renewable annually provided that the family keeps up their portion of the tuition payments, the family remains financially eligible, and the child remains enrolled in private school in Kindergarten through eighth grade. Click here to apply. 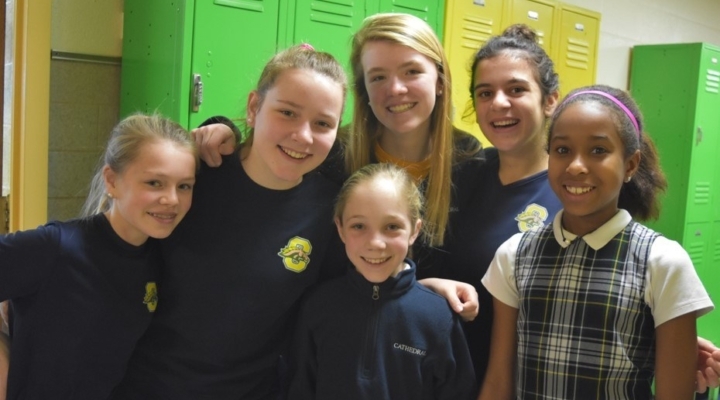 The Knott Foundation awards scholarships to students in fourth grade throughout the Archdiocese each year. These scholarships award four-year, full tuition to attend a Catholic, parish elementary schools located in Baltimore City or Anne Arundel, Baltimore, Carroll, Frederick, Harford or Howard counties. These scholarships honor Catholic students that excel in academics. To apply for these scholarships the student MUST meet ALL of the criteria on the Knott website. The link for these criteria is here. G.B. Charities (GBC) is a nonprofit organization that provides scholarships to students in the Baltimore metropolitan area. GBC sponsors promising children and adolescents on the basis of financial need, paying their tuition at accredited faith-based schools. The deadline to apply for the 2019-2020 school year is January 1, 2019. Further information and an application may be found on the foundation website here. Maryland BOOST Scholarship Program provides tuition assistance scholarships to income-eligible students to help them attend the nonpublic school best fit for their educational needs. The BOOST Scholarship Coalition is dedicated to ensuring that Maryland students have access to high-quality, affordable and diverse educational options. Click here for additional information and to apply. The highest compliment our parents can pay us is the referral of family or friends for an education at our school. To show our appreciation of your trust and confidence, we are excited to announce our New Student Referral Program. Click here to learn more. 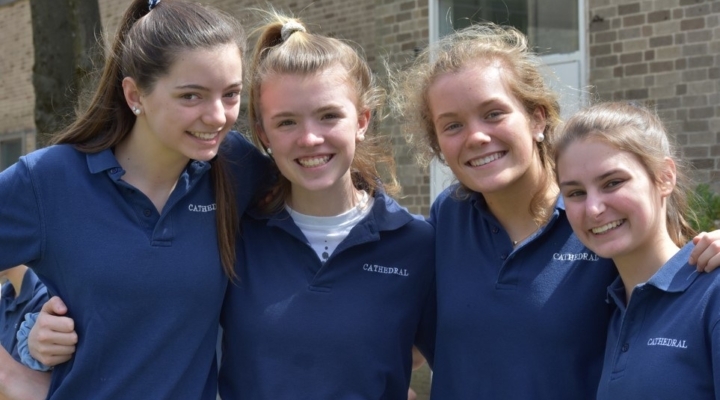 Students entering grades 1 – 7 who transfer to the School of the Cathedral from public, non-Catholic private or home school are eligible to receive a grant. Click here to learn more.